Kenneth Richard Samples. Without a Doubt: Answering the 20 Toughest Faith Questions. Norman L. Geisler. Unshakable Foundations: Contemporary Answers to Crucial Questions about the Christian Faith. Thomas V. Morris. Francis Schaeffer's Apologetics: A Critique. 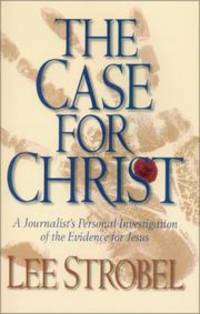 From The Case For Christ to When Critics Ask, from	When God Goes To Starbucks to 5 Minute Apologist, we can help you find the apologetics books you are looking for. As the world's largest independent marketplace for new, used and rare books, you always get the best in service and value when you buy from Biblio.com, and all of your purchases are backed by our return guarantee. The Scandal of the Evangelical Mind (published 1994) is a book by evangelical Christian scholar Mark A. Noll, who is currently Francis A. McAnaney Professor of History at the University of Notre Dame. Includes bibliographical references (p. 257-259).